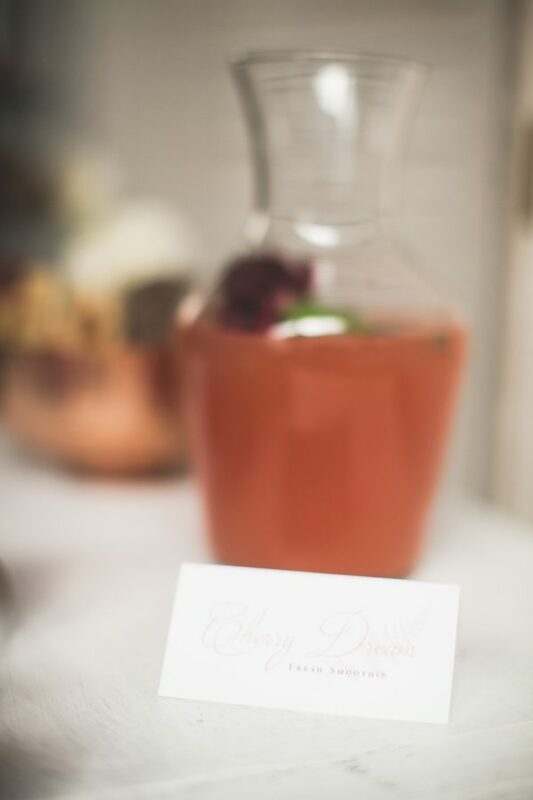 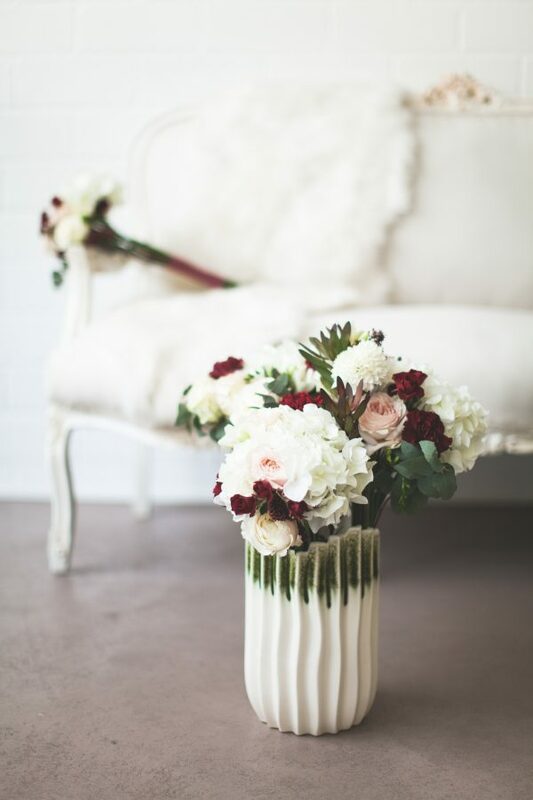 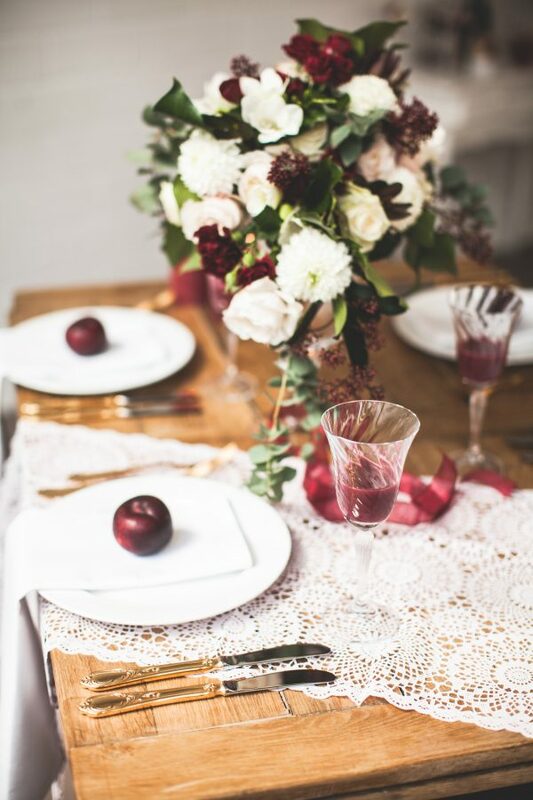 Modern, feminine, and Marsala are just a few words to describe this gorgeously styled bridal shower. 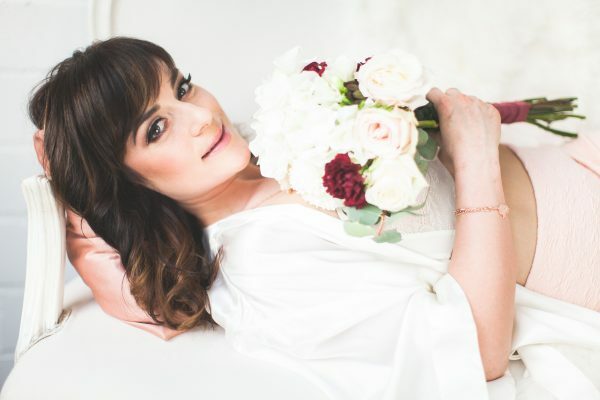 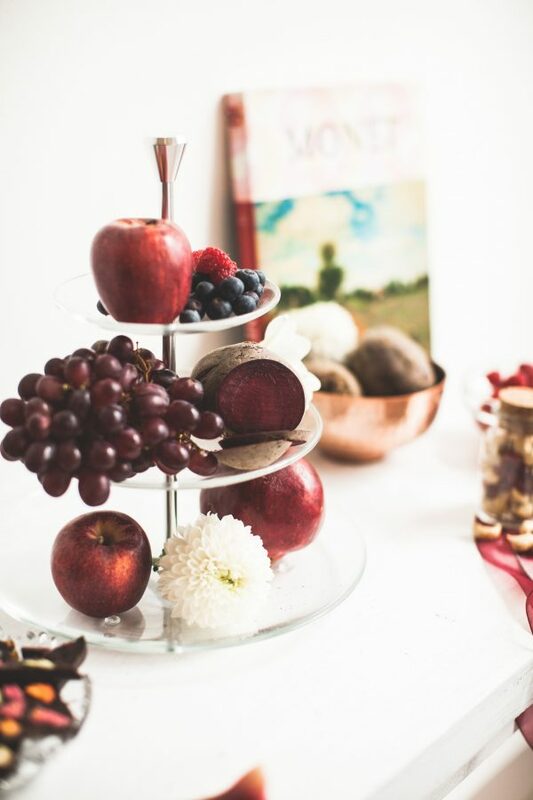 The bride meets with her closest girlfriends for a stylish boudoir shoot, champagne, and healthy treats. 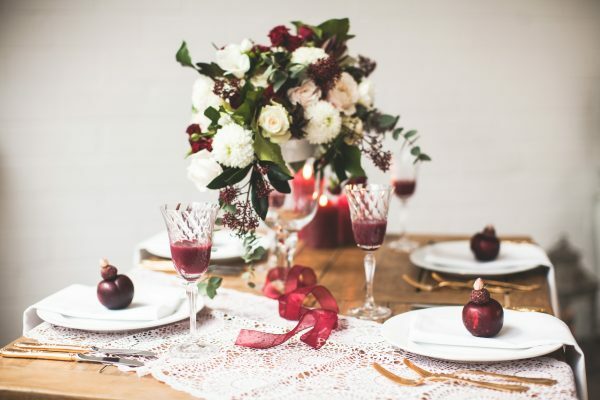 The background is set with white, blush, and luscious red tones. 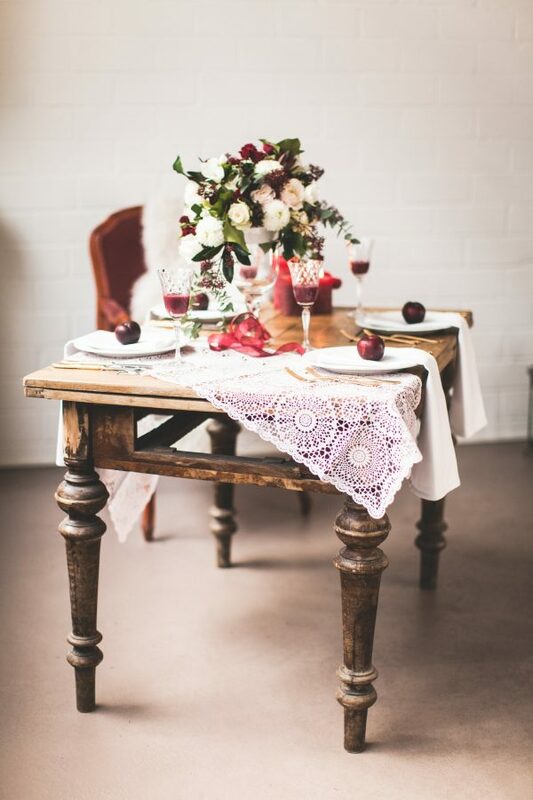 The table is a feast of lace, flowers, candles, and winter fruit. 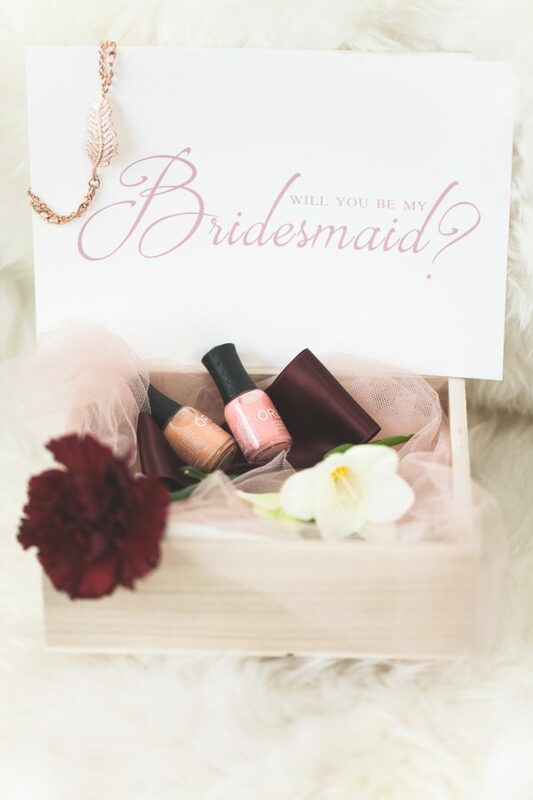 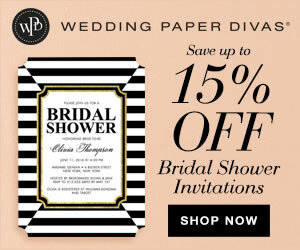 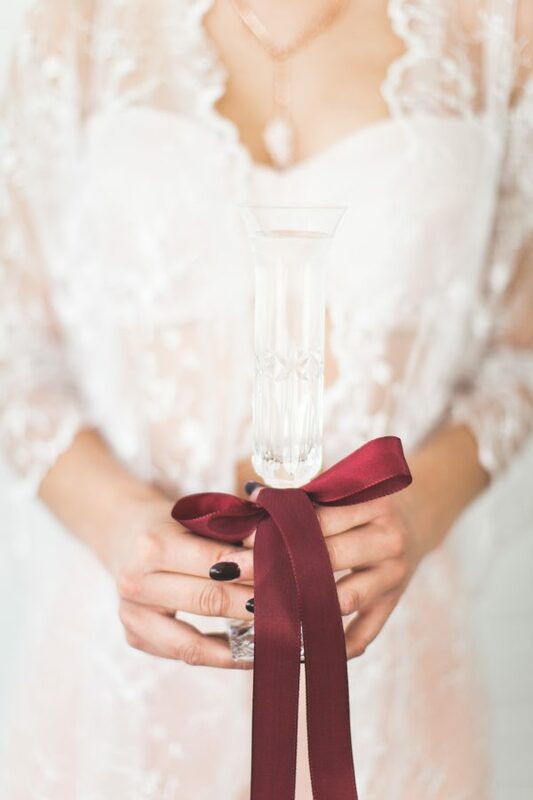 At the end of the shower, the bride presents her guests with a pretty box of gifts and asks them in the sweetest way, will you be my bridesmaid? 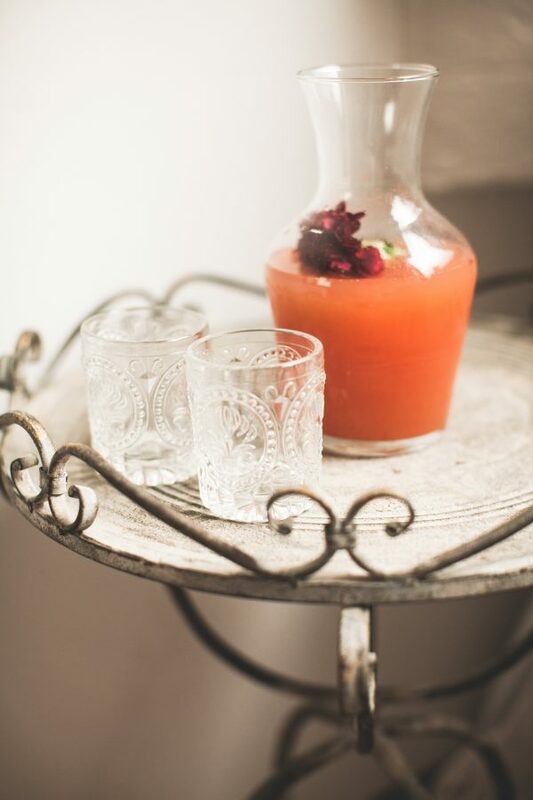 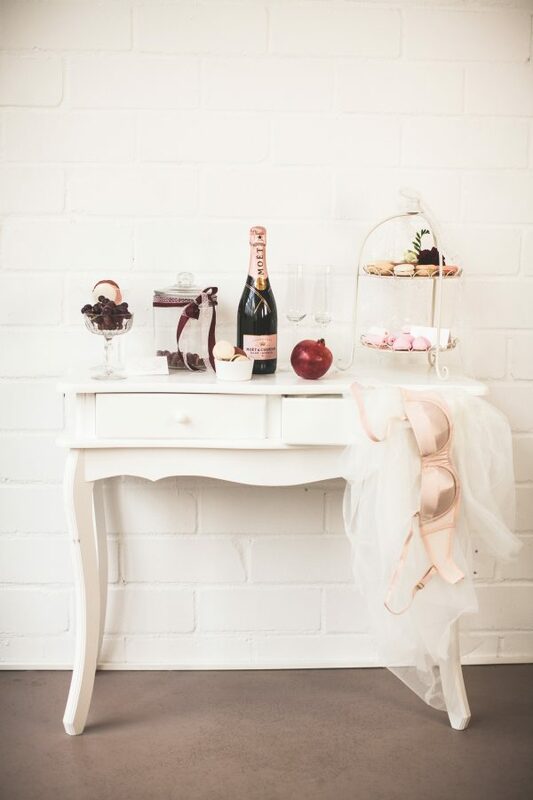 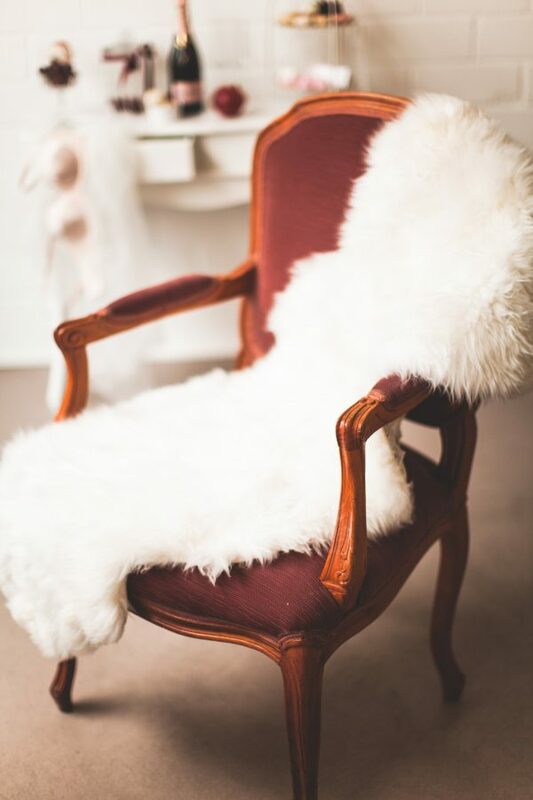 Thanks to Hannah L Lebendige for sharing these photos with us and inspiring us to create our own boudoir bridal shower.